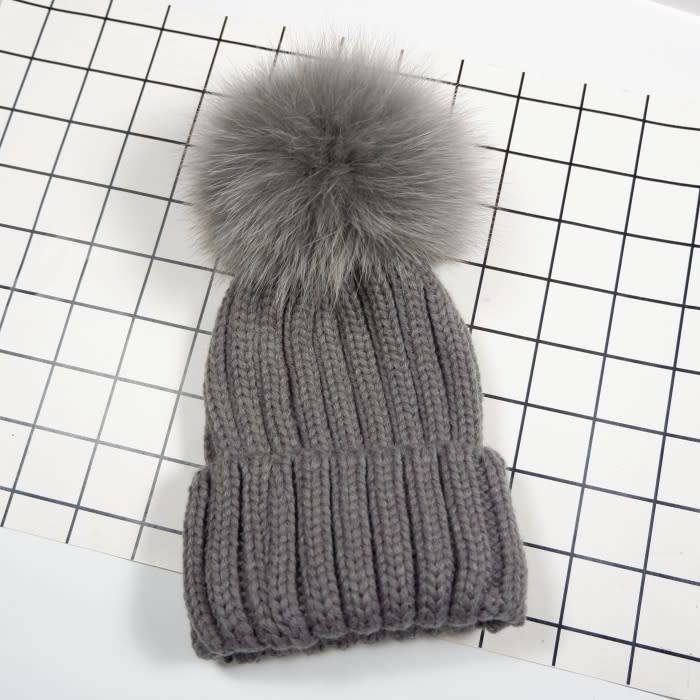 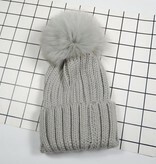 The beautiful pom is made of Faux and animal-friendly! 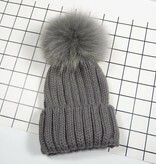 Little Ones Hat Measurements: fit 6M to 5T. 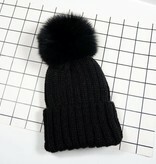 Adult Hat Measurements: One Size fits most adult woman W: 18-22inch approx. 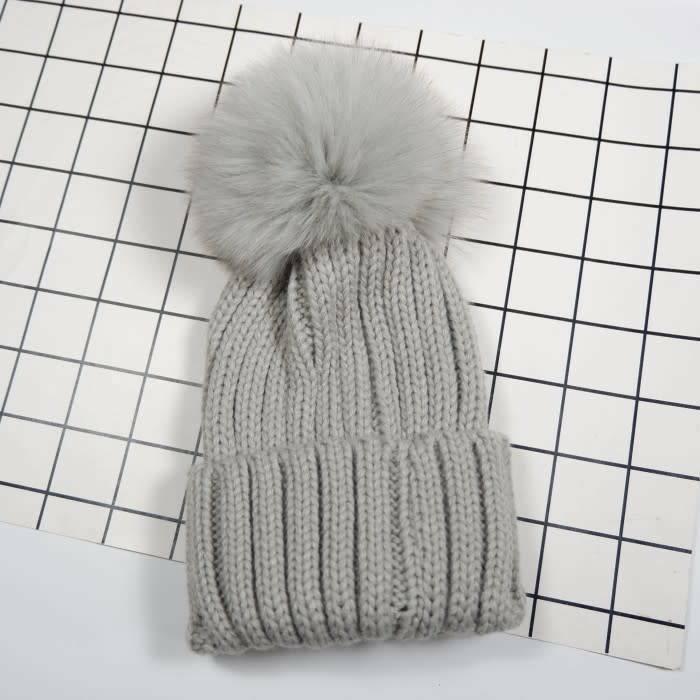 We adopted recycled polyester fibres, yarn and fleece into our product line this year made from post-consumer recycled (PCR) plastic soda bottles. We are a positive step towards a more sustainable system – one that uses fewer resources, discards less and better protects people’s health. 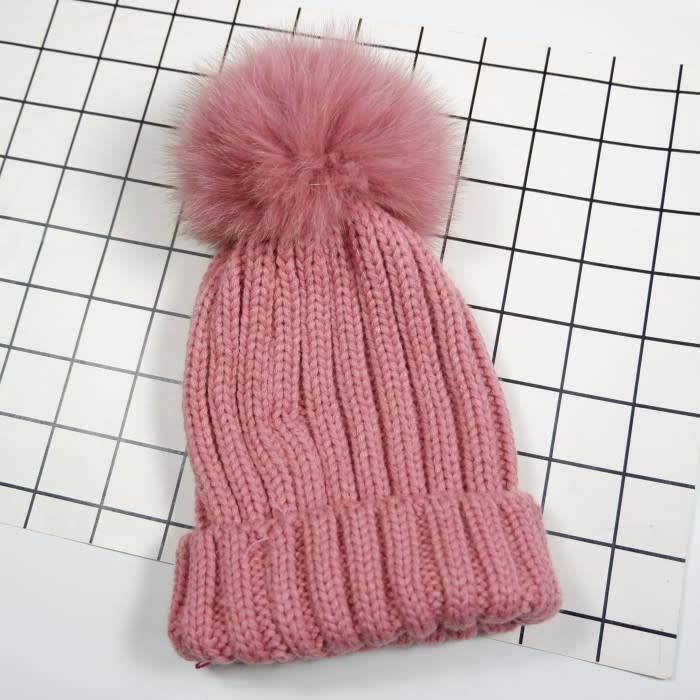 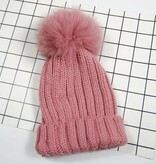 A playfully plush faux fur pompom is the fuzzy cherry on top of this cute and cozy knit beanie.